I realize that I skipped your QHC recipe earlier this month – sorry! So today, you get two! One to eat and one that you probably could eat but shouldn’t because it’s for your armpits! 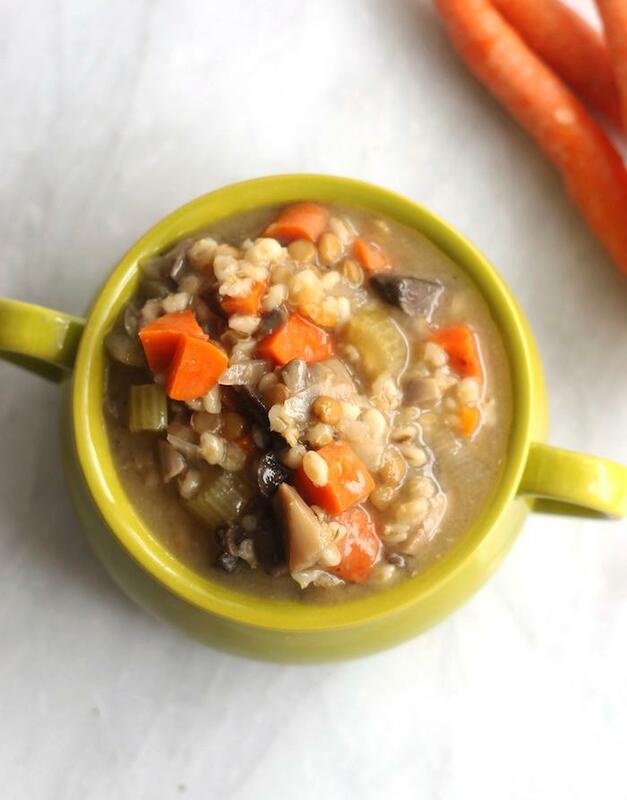 First, a yummy Barley Mushroom Lentil Soup! Barley is something we don’t cook with too often, but it’s incredibly good for you due in large part to the blend of fibers it contains. In fact, there’s some interesting research that shows barley may be particularly good at appetite reduction as well as lowering your blood sugar! Your second recipe is for home-made deodorant. From conversations around the studio, I know many of us are interested in such a product, and Amber B was kind enough to share with us her favorite. She likes the coconut oil version here. She uses it in the winter when it’s cold enough to stay solid at room temperature – otherwise it would need to be kept in the refrigerator.